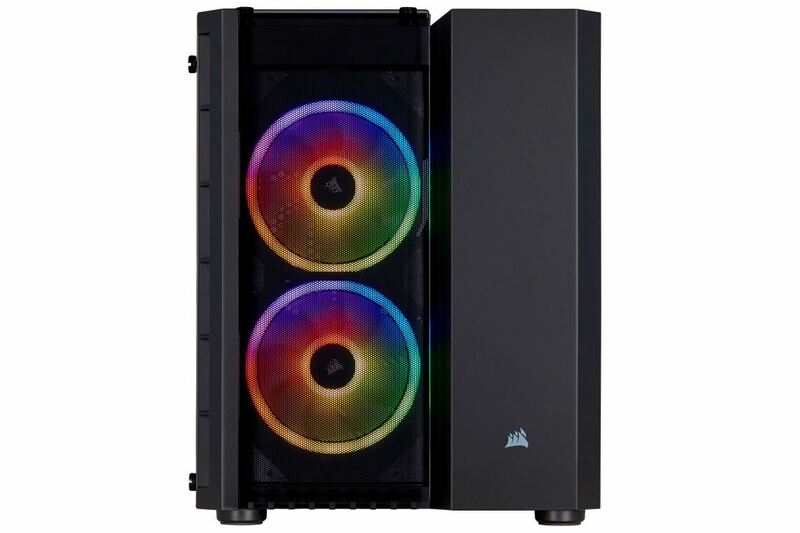 Two included CORSAIR LL120 RGB fans boast 32 individually customizable LEDs, controlled by CORSAIR iCUE software to deliver a symphony of color. 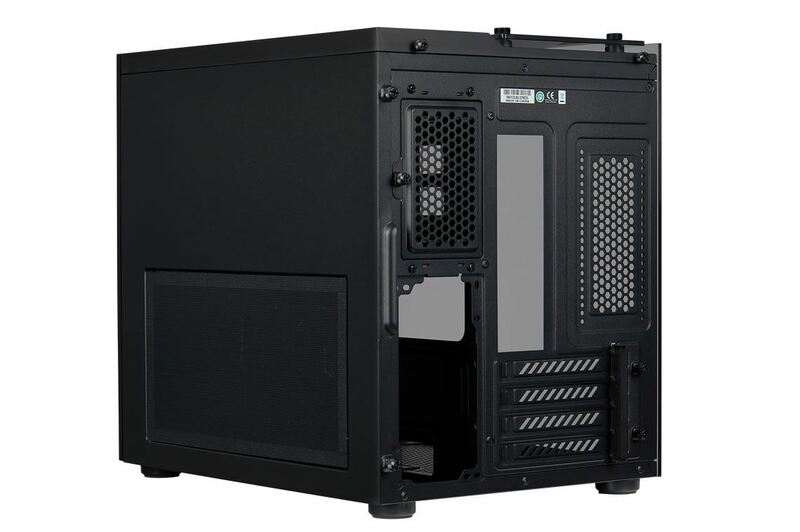 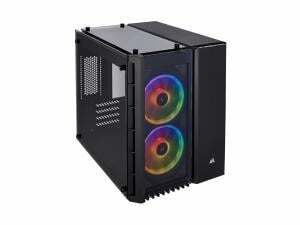 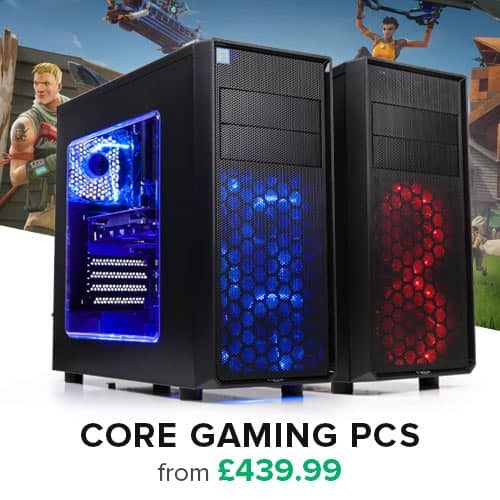 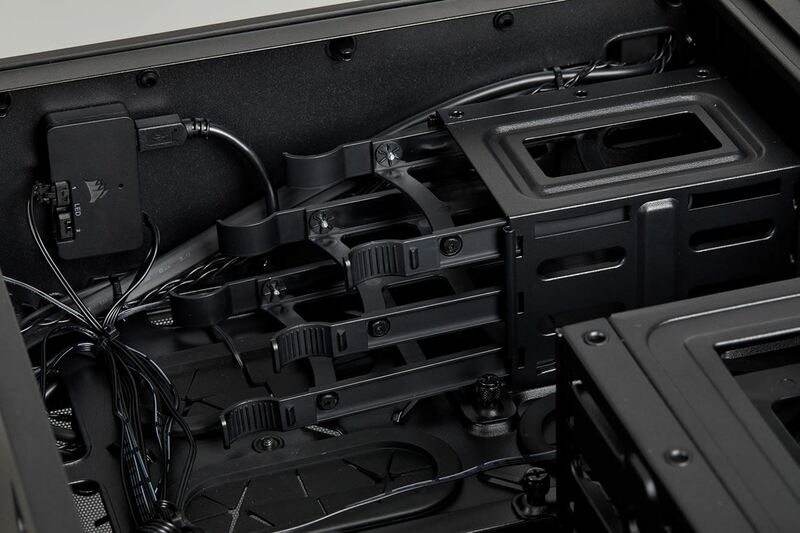 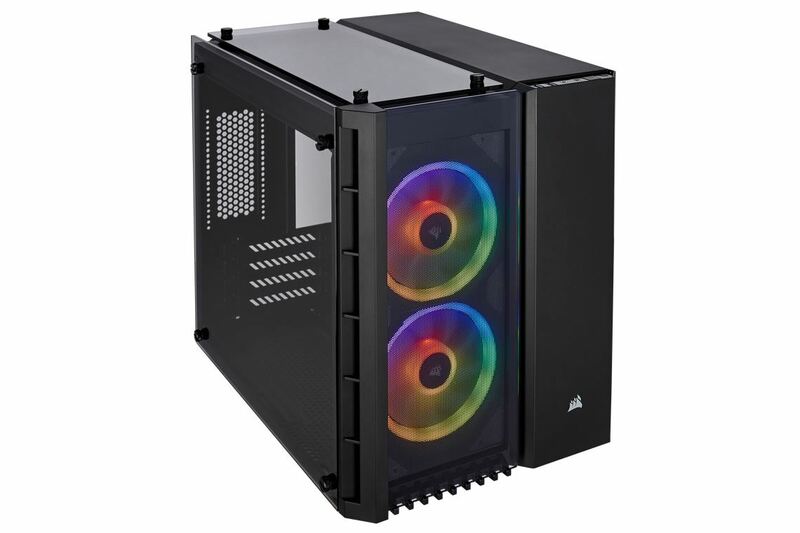 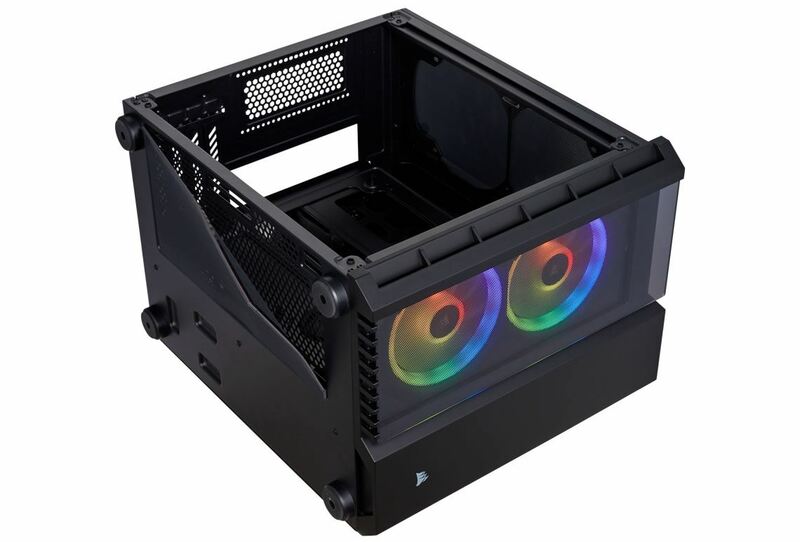 Room for up to six 120mm cooling fans, or a 240mm radiator in the top, 240mm radiator in the front, and 240mm radiator in the bottom. 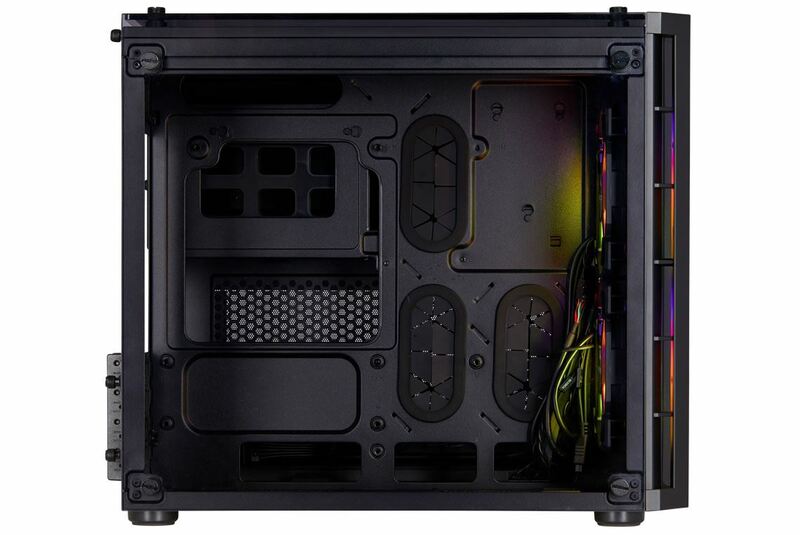 Three stunning tempered glass panels put your system on display like no other Micro-ATX case. 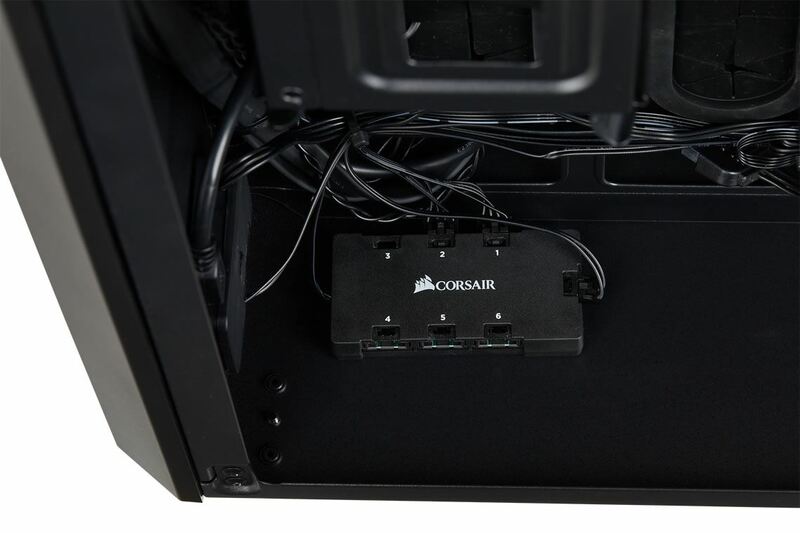 Two included CORSAIR 120mm fans and CORSAIR Direct Airflow Path™ design directs cool air to your PC’s hottest components.